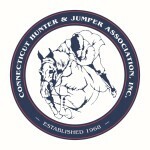 CONNECTICUT HUNTER & JUMPER ASSOCIATION, INC. PUBLISHED BY THE CHJA, INC. THE RULES PUBLISHED HEREIN ARE EFFECTIVE DECEMBER 1, 2017 UNLESS OTHERWISE STATED AND REMAIN IN EFFECT EXCEPT AS SUPERSEDED BY RULE CHANGES PUBLISHED ON THE OFFICIAL CHJA WEBSITE OR BY SUBSEQUENT EDITIONS OF THIS BOOK. REVISIONS ARE NOTED IN YELLOW HIGHLIGHTS.